Balaam Culpepper, 1 M0-5, 1 M5-10, 1 M10-15, 1 M15-20, 1 M40-50, 1 F0-5, 2 F10-15, 1 F20-30, 1 F40-50, 0 slaves, 3 people in agriculture. Ancestry.com, compiler, Tennessee State Marriages, 1780-2002, Online database at Ancestry.com, 2008. Esther Culpeper, 3, F, TN. ED 118, sheet 1, line 7.
granddaughter Martha Fort of Edgecomb County. River, from thence to the Widow Rose's on Contentney; and that . . . ."
apparently had at least eight daughters and one or possibly two sons. Rebecca, born Nov 1809, died March 1882 in Johnson County, TX. Temperance, who married a Parker, and three sons, including Lewis. James, Washington, Temperance, Celista, Joseph, and possibly Elvira. In 1830, Allenson Sr. doesn't appear on the census, but Allenson, Jr.
has himself, one female 10-15 (wife Margaret?) and one female under 5.
oldest children as Mexico, 16, and two other daughters 10-15. Mollie C.,born 20 July 1865.
however, because there is another connection. .
(or Birdwell), daughter of Mary Powel, who was a sister of Allenson Jr.
lived in Howell County in 1920. B. Culpepper, 1 M26-45, 3 F0-10, 1 F16-26. Baalem Culpepper, 3 M5-10, 1 M30-40, 3 F0-5, 1 F10-15, 1 F30-40, 0 slaves. James Powell, 1, M, TN. E-mail to Lew Griffin from John Alexander, e-mail address. E-mail written Feb 2012 to Warren L. Culpepper from Joyce Medlock Henderson (gtgd/o #40401), e-mail address. Mr. James T. Culpepper, 82, of Lynn Haven, Fla., passed away Tuesday, Oct. 16, 2001, at a local hospital. He had been a resident of the area for 32 years, coming here from Albany, Ga.
Mr. Culpepper was a builder and developer. He served his country in the U.S. Navy during World War II. He also was a 32nd degree Mason, a member of the Scottish Rite Temple, and the York Rite Temple. Mr. Culpepper was a Presbyterian elder for 44 years and a member of the Gulf Beach Presbyterian Church. He is survived by his wife of 64 years, Hazel Davis Culpepper, of Lynn Haven, Fla; a son, James Thomas Culpepper IV and his wife, Anne W. of Panama City Beach, Fla; a daughter, Marie C. Norton of Panama City Beach; two grandchildren, James Thomas Culpepper V of Burlington, Kan., and Anne-Marie Clark and her husband, Lee C. of Mt. Dora, Fla; three great-grandchildren, Brittany Culpepper and Alexis and Zachary Clark; a special nephew, Bill Reaves and his wife, Nancy; and a special niece, Hazel Robinson and her husband, Rob. He was preceded in death by a son-in-law, Bill Norton. The News Herald, Panama City Herald. October 17, 2001 Obituary for James T. Culpepper. + James T. Culpepper, Jr., 21 Dec 1894 – 23 Jun 1949. + Hazel Davis Culpepper, 20 Apr 1919 - ______. Willie J. Culpepper, Dau, S, Female, W, 9M, GA/GA/GA. Date of Import: Feb 17, 2000. E-mail written 20 Oct 1998 from quack264. James G. Culpepper, Son, M, Oct 1898 (1), S, GA/GA/GA. + W. H. Culpepper, 14 Feb 1845 – 5 Jan 1930, Co. B, 29th GA Inf. + Jane E. Culpepper, 22 Oct 1845 – 13 Apr 1924. William H. McDonald, Grandson, 5, GA, GA, GA.
James G. Culpepper, d. 31 Mar 1949 at 80 years in Colquitt Co., GA; Res. in Colquitt Co., GA.
Hattie E. Culpepper and Charley A. Boatwright on 28 Dec 1892 in Thomas Co., GA.
has place of death as Tampa, FL. Tommie Culpepper, Dau, F, Apr 1884 (16), GA/GA/GA. 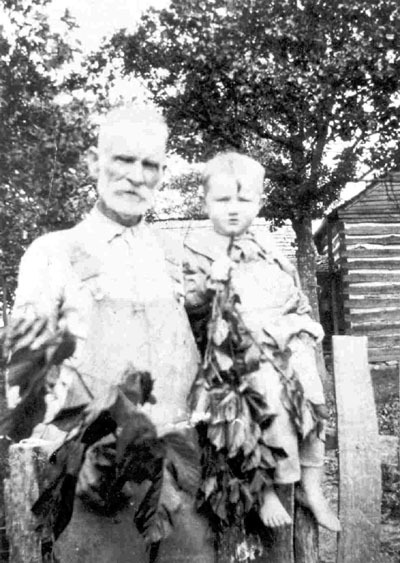 William Jane Culpepper and W. C. Lambert on 08 May 1901 in Thomas Co., GA.
George Layfatte Culpepper was born December 12, 1869. Ada Bill Culpepper, Dau, F, sng, Wh, 1, AL/AL/AL. Marriage* 24 Dec 1903� She married Lemuel Albert Whatley at Mobile, Mobile Co., Alabama, on 24 Dec 1903 at age 22. Ella & Lemuel had 5 children. E-mail written Sep 2006 to Warren Culpepper from Terry L. Megehee (nephew of John James Megehee #10191), Terry is the author of a 2005 family history book titled "Flags in the Mist - A Family Odyssey from Alba to Boley" in which John and Anna Culpepper Megehee and their children are prominently mentioned in word and pictures, e-mail address (Aug 2010). Ann Megehee, Daughter, F, Wh, 32, Wid, md@17, AL/AL/AL, No Occupation. Austin M. Culpepper, Age 23, 1418 23rd Avenue, Gulfport, Harrison Co., MS. Born 30 Dec 1894 in Winn, Clarke Co., AL. Occupation: Stenographer for G&SI RR Co. at Gulfport, Harrison Co., MS. Dependents: None. Single. White. Prior military service: None. Claims No exemption from draft. /s/ A. M. Culpepper. Tall height, Medium build, Gray eyes, Light hair, Not bald, No disabilities. 5 Jun 1917, Gulfport, Harrison Co., MS.
Katie M. Culpepper, Daughter, F, Wh, 15, S, AL/AL/AL. ED 28, sheet 1, line 38. Lily Culpepper, 11 m, F, GA.
Tommie was just little when his Aunt Mattie died. We think both she and her husband are buried in S. Pleasant Grove, but could find no stone. I have not been able to locate their children or grandchildren; I am still trying. Of course I mentioned Aunt Angle, Pappy's second oldest sister, married his Uncle Fate; Mammie's oldest brother; consequently there are double cousins here. I did mention about their children; evidently Tommie's brothers were good friends with the Evans boys and their sister Jewel. The other two Aunt Callie and her husband Tom Petty, had six children; I really didn't get to know their children; but Aunt Callie lived across the street from where Pappy and Mamie lived when we moved to Kentucky. Here children had moved away; some to Paducah, KY. and one to Detroit, Michigan. Her husband had died several years earlier. Uncle Perry, the youngest child, married Aunt Zora, they were busy farmers and hard workers. There really wasn't much visiting between families in the early days; everyone was busy trying to make a living. I did get to know their two boys, J. L. & Palmer; they also were good tobacco farmers and hard workers. J. L. just died a few months ago. They lived and farmed close to where their father Uncle Perry lived." Tommie remembers Julia (his grandmother). Tommie's family moved in with her for almost a year after his grandfather (Tadford) died. Tommie always says he remembers his Aunt from St. Louis, he doesn't remember her name, would come and visit them and roll her hair up on rags. Joe Hutson was a cousin of Joe Ben, Tommie's Dad. He raised his daughter Mittie after his wife died. She married Hiyt Roberts' brother. Bartlett Eaves, 10, M, TN. J. B. Culpepper, Son, M, S, W, 3M, KY/TN/TN. Emmett P. Culpepper, Son, M, Dec 1886, 13, Sng, KY/TN/TN, Farm Labor. T. E. Culpeper, 14 Dec 1913 at age 63, Calloway Co., KY, 63, 31479. ED 9, sheet 6, line 74. Magie B. Farow, , Granddaughter, Nov 1899, 6/12, MO/MO/TN. Biography* � When Nancy Caroline died in 1941, her obituary said that her daughters Alice and Loretta had preceeded her in death. And that she was survived by children Ben, of Fort Cobb, OK; Lee, of Vernon, TX; Mollie Seats, of Nevada, MO; Iva, of Mountain View, MO; and Aggie Pattings, of Detroit, MI. Her surviving brothers were Robert and Dolph, of Mountain View, MO, and her surviving sisters were Zara, of Mountain View, MO; Agnes, of Cabool, MO; and Mollie Bayne, of Lawton, OK. She also had 48 grandchildren and 32 great grandchildren. Duane Harvey e-mail, 10 Feb 2003. Alis Rowlett, Son, F, S, W, 1M, KY/KY/TN. E-mail written 2003 to Lew Griffin from Duane Harvey, e-mail address. History of Ozark County, MO, 1841 - 1991, Gainesville, MO: Ozark County Genealogical and Historical Society, 1991. E-mail written Oct 2003 from Michael Webb Culpepper (#10453), Auburn Hills, MI, e-mail address. Based on 1940 photostat copy of birth certification. M. E. Culpepper, Wife, F, M, W, 15, KY/MO/TN. Desmond Walls Allen, compiler, Index to Arkansas' World War I Soldiers, Volume 1, Surnames A-C, Conway, AR: Arkansas Research, Inc., 2002. Samuel Culpepper, Son, 5, MO/TN/KY. Samuel Culpepper, Son, 15, MO/TN/KY. E-mail written Jun 2005 to Warren Culpepper from Cathy Cate, Carlsbad, New Mexico, e-mail address. Stella M. Culpepper, Daughter, 18, MO/TN/MO.